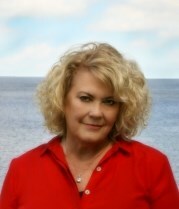 Real Estate is truly Donna's passion, and her top priority is client satisfaction. As a full-time Realtor with 34 years of knowledge in the East Texas area, it would be her privilege to be the trusted professional you call on for all your East Texas real estate needs. Working with both sellers and buyers is most rewarding. While it is always sad for the sellers to move away, it is the greatest joy when buyers become great friends. Even after the Real Estate transaction is over, it is her privilege to help buyers transition into the community. Her promise to a client is simple; placing your needs first, delivering quality service you deserve, and working for you with a servant's heart. After all, that's truly what it is all about...Clients first! Donna and her husband, Benny, just celebrated their 34th wedding anniversary. They have always lived in the Frankston and Lake Palestine area and have owned a Lake Palestine waterfront home since 2005. They are the owners of Douglas Plant Farm and members of Grace Community Church. You can usually find them together in their spare time searching for antiques and collectibles or shopping at First Monday Trade Days in Canton, Texas. Their pride and joy is their little Yorkie, Sasse, who became a registered therapy dog in 2016. If you are looking for a Realtor with proven results...Donna delivers! Donna is an absolute joy to work with. She was able to help us sell our home very quickly after we had tried for 18 months with another realtor. We ended up buying two other properties with her help. Use only Donna if you are reading this. Goes above and beyond for her clients! Always friendly, honest, and a joy to work with.